STARS4ALL EU project is a Collective Awareness Platform for Promoting Dark Skies in Europe. Universidad Complutense de Madrid is in charge of one of its Light Pollution Initiat¡ves: LPI#6 "European Photometer Network". 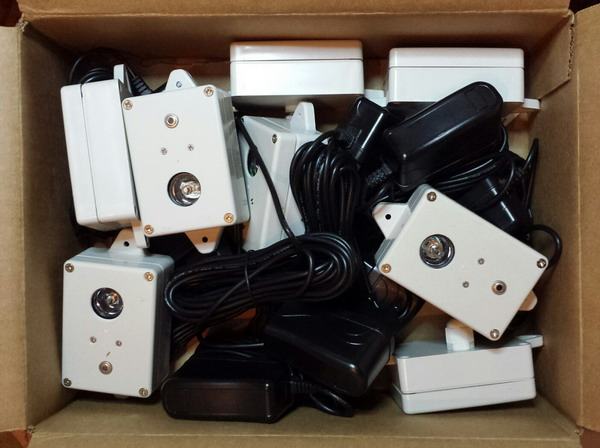 It is devoted to monitor light pollution of European villages with a citizen sensor network that citizens will be able to deploy by purchasing and installing low cost photometers. This LPI aims to extend currently existing professional photometer networks. See for instance the spanish REECL network. 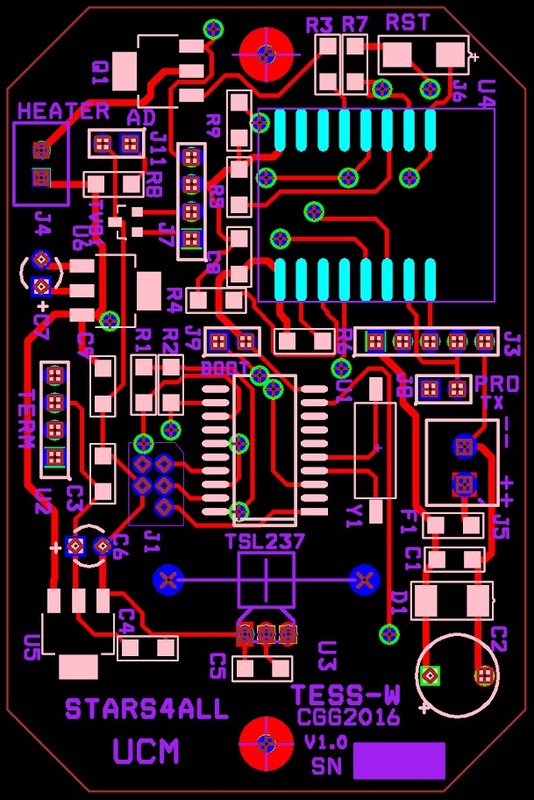 The final design of the night sky brightness photometer first version (TESS-V1, for short) has been approved. This version has a WiFi module to communicate with a router. The data will be send to a common repository using the methods of Internet of Things (IoT). 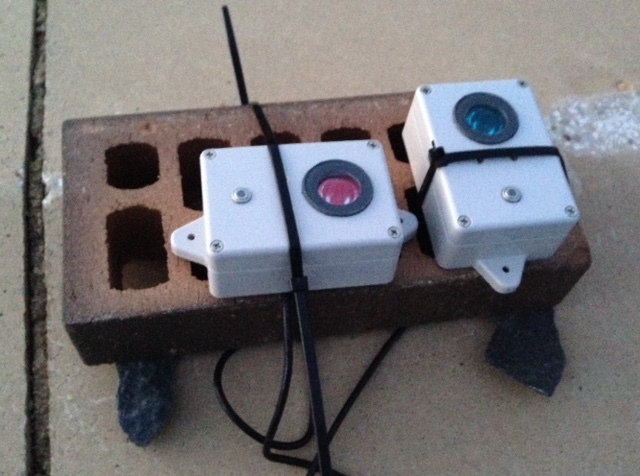 The Telescope Encoder and Sky Sensor (TESS) has been developed by Cristóbal García as an auxiliary device for a remote observatory (Observatorio Remoto). 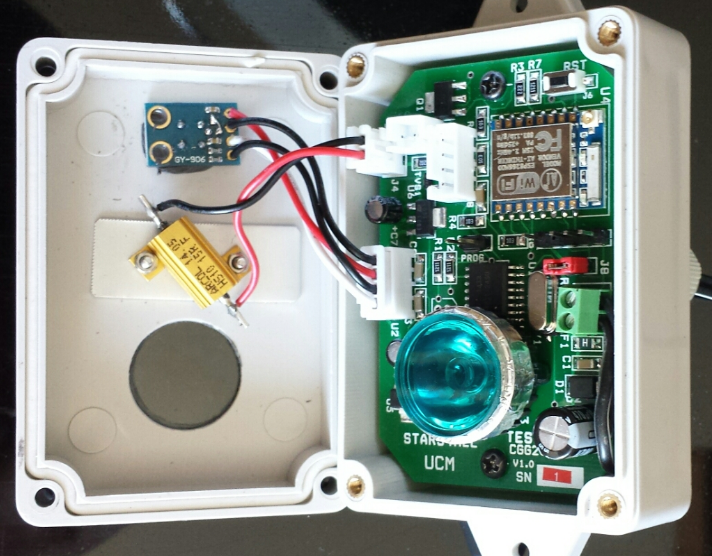 TESS-V1 is mounted on a weatherproof enclosure and has a IR sensor that inform about the cloud cover. 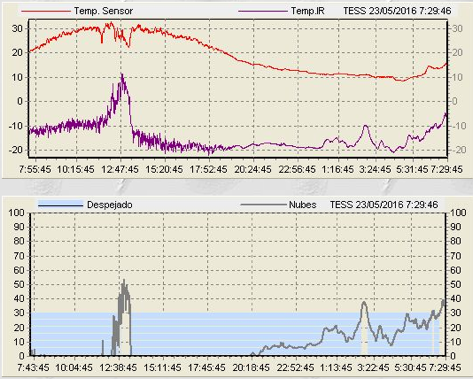 From left to right: (a) meeting at UCM, (b) internal view of the TESS-V1 photometer inside the weather proof box. The light collector with the infrared rejection filter (in blue) lies over the electronic PCBs. (c) PCB schematic. 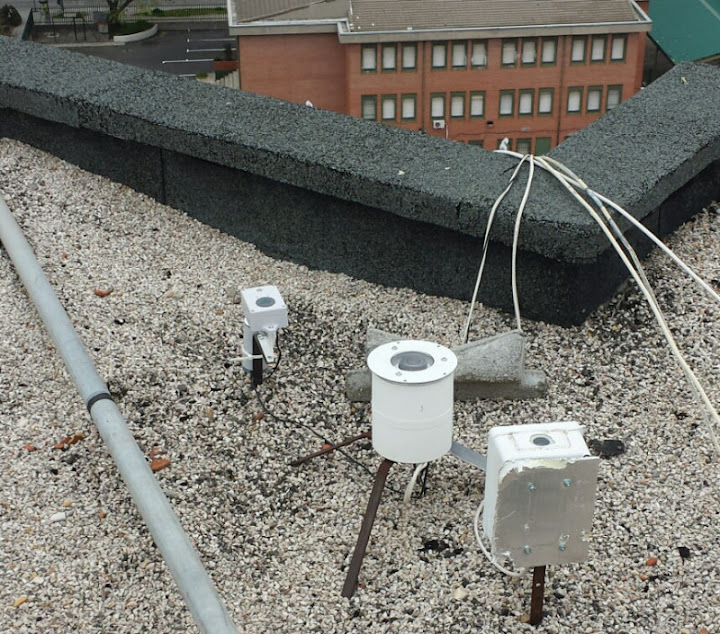 From left to right: (a) TESS on a rooftop at Coslada (near Madrid) with SQM and all-sky camera (b) Two TESS units during the LoNNe intercomparison Campaign at Montsec, (c) Close view of the photometers. (Left) Diagram showing the general schematic of the communication method. (Right) Diagram showing the local mode schematic. 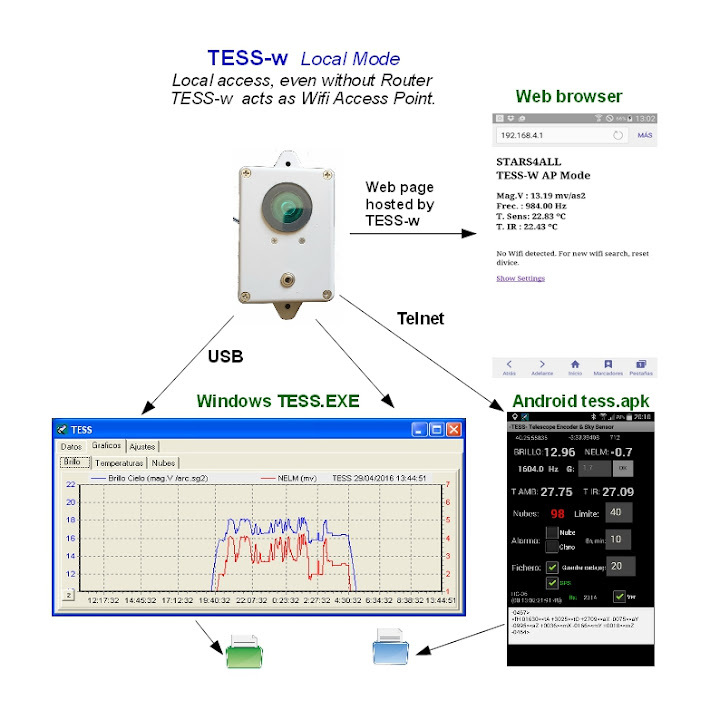 The photometer (top, left); the real time data on a web browser (top, right); one of the real time graphs (bottom, left) and the display of a mobile phone with the tess.apk. 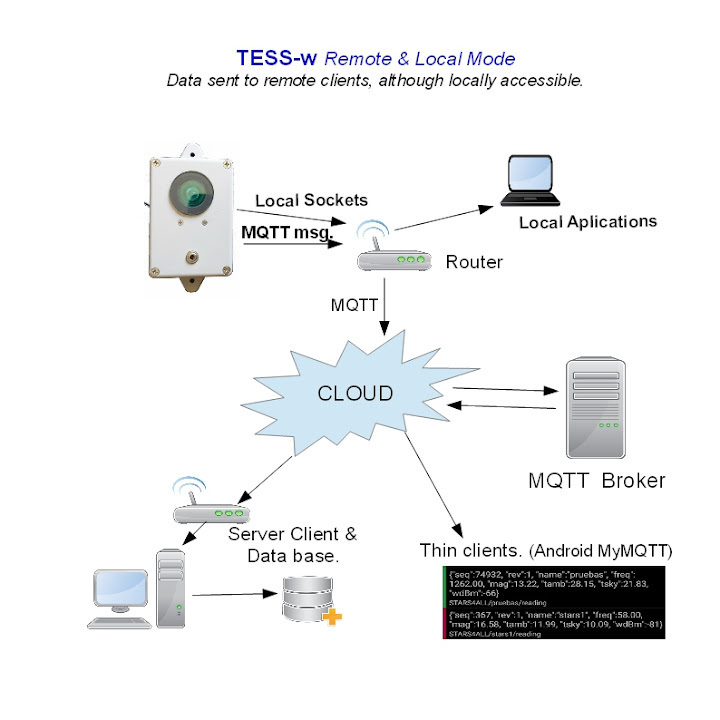 TESS-V1 connects to a router to get Internet communication via a WiFi module. The user in charge of the sensor can also record the data on his own computer (local mode) by connecting to his own router. On the other hand, the data provided by all the community sensors can be communicated to and then reached from the database via Internet. (Left) Parts of the TESS photometers before assembly. (Right) Some of the almost finished units that we have built. 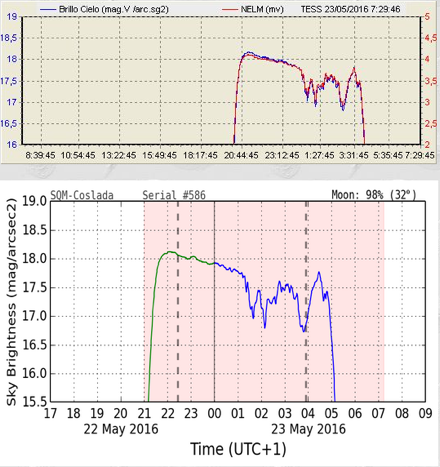 (Left) Sky brightness and (right) the cloud cover (right) obtained with TESS-V1 at Coslada and an SQM side by side, both of them pointing to zenith. Some TESS-V1 photometers are being tested for photometric calibration and to check the communication software. You can browse the live data from the TESS-V1 unit at Coslada. 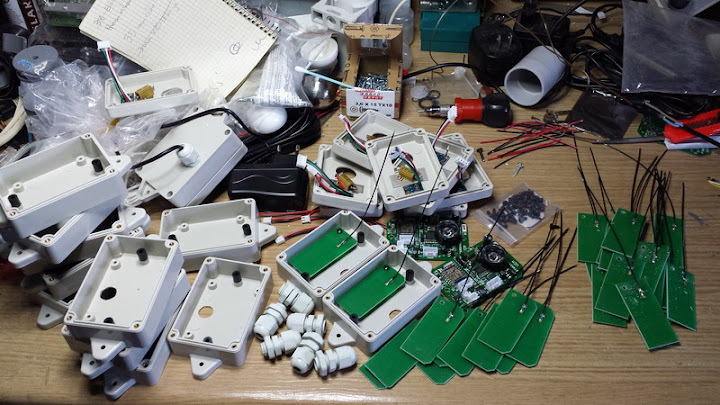 The first 12 units were sent to the beta testers at the end of July 2016 and the photometers are sending data . J. Zamorano, C. García, R. González, C. Tapia, A. Sánchez de Miguel, S. Pascual,, J. Gallego, E. González, P. Picazo, J. Izquierdo, Mi. 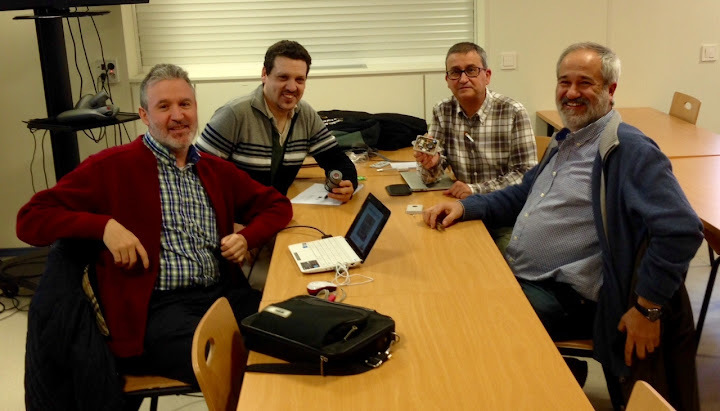 Nievas, L. García, O. Corcho, and The STARS4ALL consortium, "STARS4ALL night sky brightness photometer"
Send questions or comments to Jaime Zamorano at UCM.